The best way to prepare for a great future is to live fully in the present. Sure, we can plan and map our steps, but too much thought about the future robs the joy of today. Take a moment today to look around, to live in the moment, to soak in the beauty of right now. 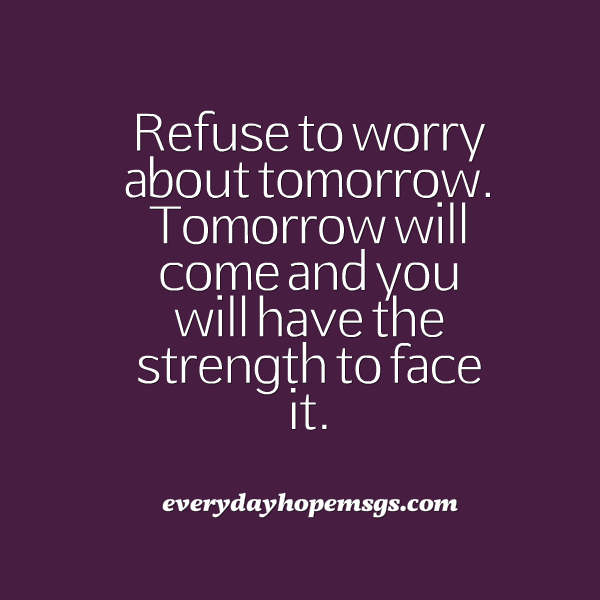 Refuse to worry about tomorrow. Tomorrow will come and you will have the strength to face it. Just because life hasn’t been what you expected doesn’t mean it’s not what you’ve been waiting for. The life we walk is exactly what we need, it’s exactly what we’re meant for. You have the strength to walk this life. A great future is much more simple than it may seem. It’s built moment by moment, right here in the present. When you see that today is good, you’ll also see that the future is great.